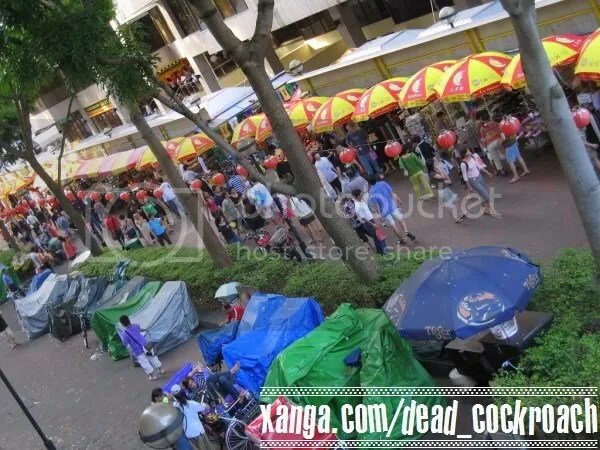 Yesterday, I went to Bugis Village with my parents to buy some dried goods at the wholesale centre. Whenever I’m at Bugis, I’ll make it a point to come here to see these flights of stairs because I find them so vibrant and full of life! We went for our dinner at the hawker centre. One thing I hate about this place is the smoke and grime. I only had to walk one round and I’ll feel sticky all over. This stall sells hot beverages like coffee and tea. Nope, I didn’t order anything from this stall. I had sugarcane juice. 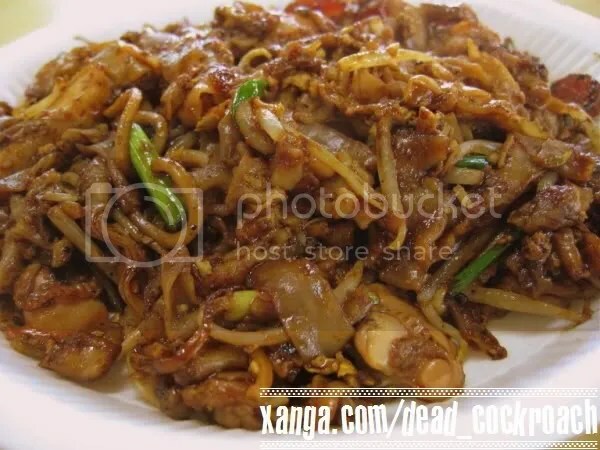 My Char Kuey Teow is quite nice but it’s abit bland. 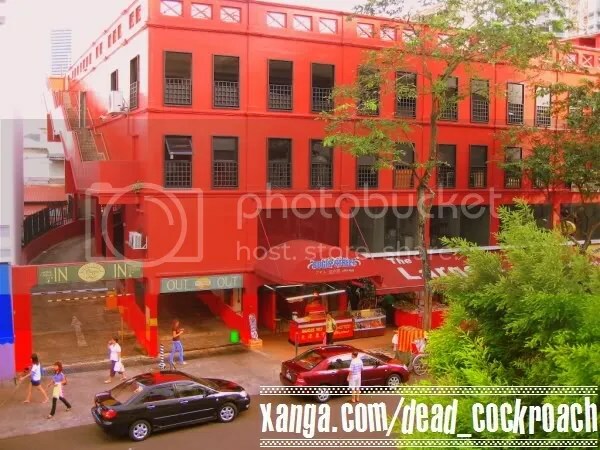 After our dinner, we went upstairs on the second floor to buy the stuffs. While my parents went to buy the mushrooms and dried shrimps, I went round shooting the surroundings. This pigeon keeps staring at me when I walked past. 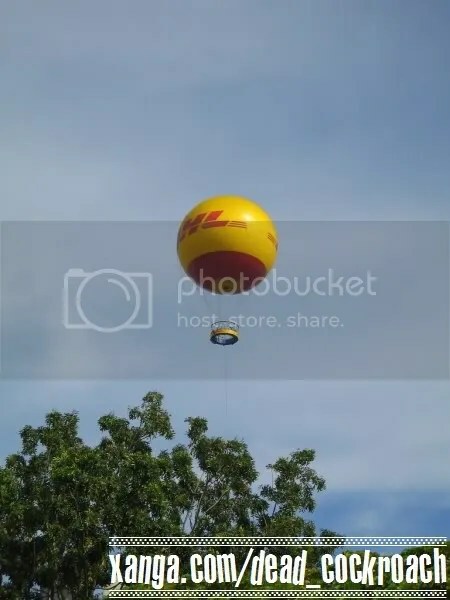 a hot-air balloon in the sky! 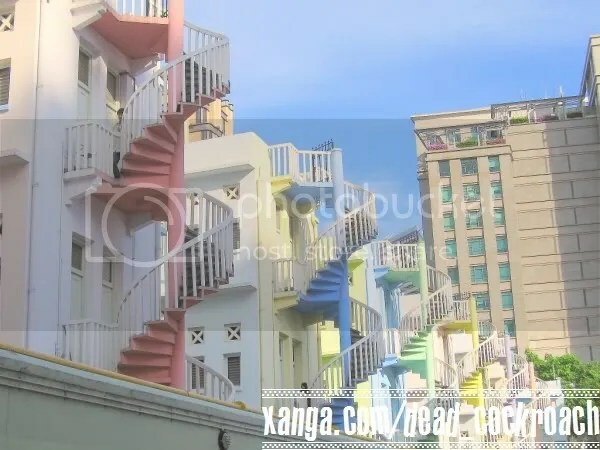 This building stands out from the rest as it’s really eye-catching! 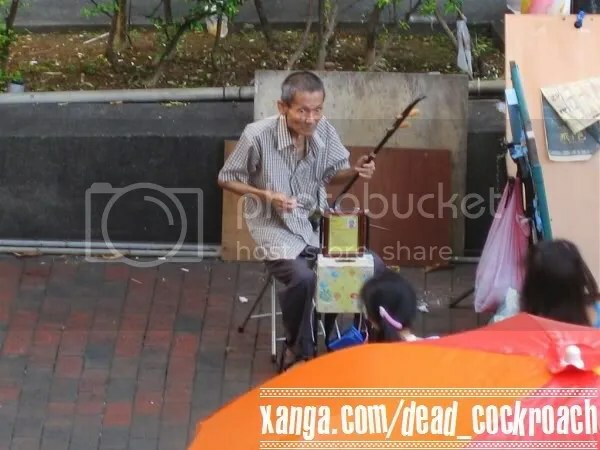 This old man was playing the erhu and earning his own keep. Perhaps I can do the same 30 years later? The wide and spacious cushion looks really comfy! After buying all the stuffs we needed, we took a bus home. 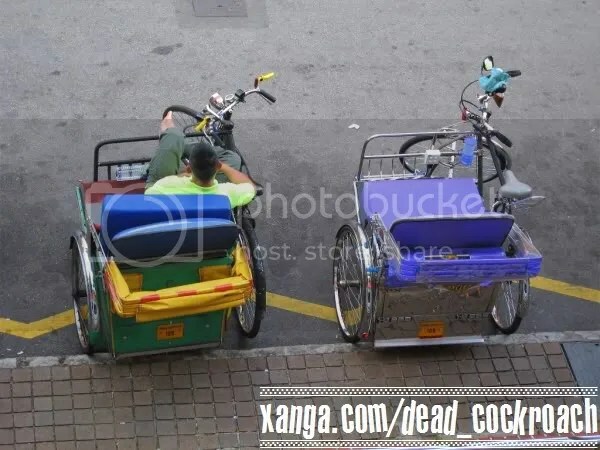 The moment I board the bus, I noticed there’s one auntie sitting with her legs spread wide open 180 degrees as if waiting for someone to… you know, screw her. My mum and I went to sit at the back of the bus and after a few bus stops, this auntie actually came to the back as well and sat on the seat in front of me. Someone behind me was playing the ‘Yi Nan Wang‘ song on the handphone and this auntie was shaking her head along with the tempo of the music. I believe that she may have a bit of mental problem. No one in their right mind would put their fist inside their mouth in public right? The guy seating next to her was so terrified that he keeps edging away from her even though he had no space to shift anymore. The auntie displayed quite abit of ‘shocking’ antics all the way till I alighted at my bus stop. 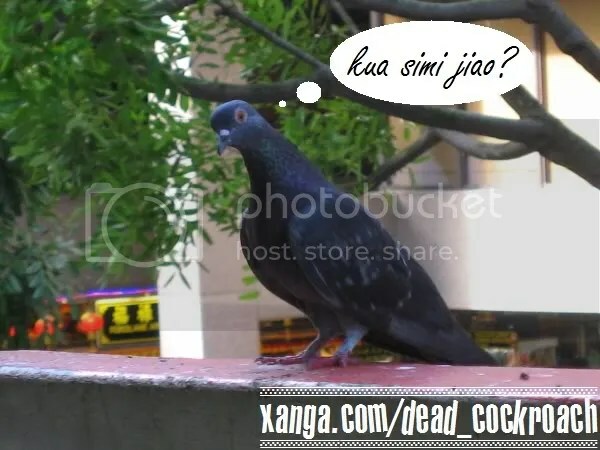 I think she also poor thing lah. I guess the guy sitting next to her has already missed his bus stop a long time ago but he didn’t dare to ask her to let him come out. I could only watched with regret as the bus moves off towards the bus interchange. 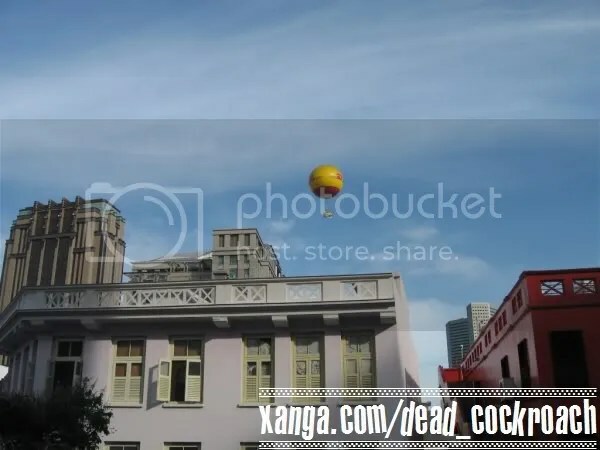 This entry was posted in Uncategorized and tagged bugis, char kuey kuey teow, hotair balloon, photoblog, village. Wanna see me break my neck, or a limb or two? OMG, this is soooo funny! First, I Salsa-ed with Anqi then, I Lindy-Hopped with Sam! Haha!! Then, I saw these on youtube. The second one is creepy but still hilarious! I like it when the fat ghost piak the slim ghost on the head! Now my stomach is in pain from too much laughing already! 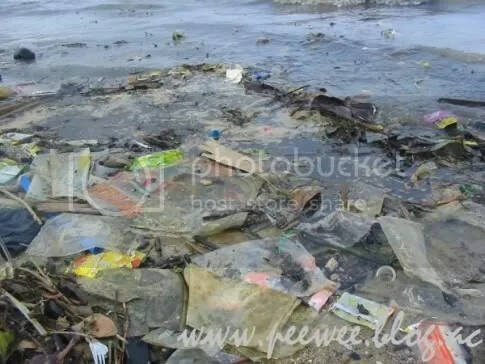 As we all know, 75% of the earth’s surface is covered with water therefore, any pollution or destruction to it will have a direct impact on our lives. Plastics pose a serious threat in our ocean because it could have a deadly impact on marine life. Some fishes, turtles, seals and even seabirds may mistook these plastics for jellyfish and eat them. As plastics are indigestible, it could choke or even kill them! 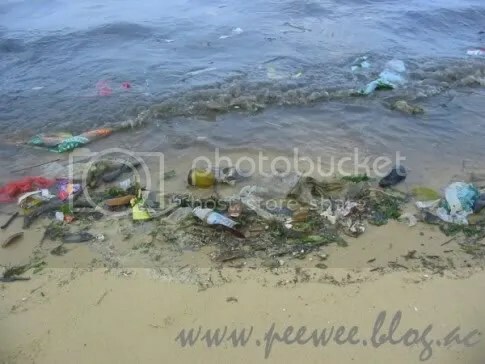 A beach filled with rubbish has zero aesthetic appeal and no one likes frolicking in a dirty sea! Do you? 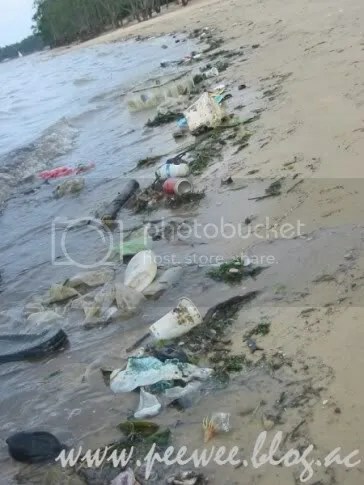 Plastics are non-biodegradable and they can take up to a hundred years to break down so please, dispose of your plastics properly. Or better yet, try to cut down on the usage of plastics! You can use re-usable utensils or even bring along your own shopping bag the next time you go to the supermarket! One person’s strength may seem weak to save our environment, but the effort of a million people DO make a difference! 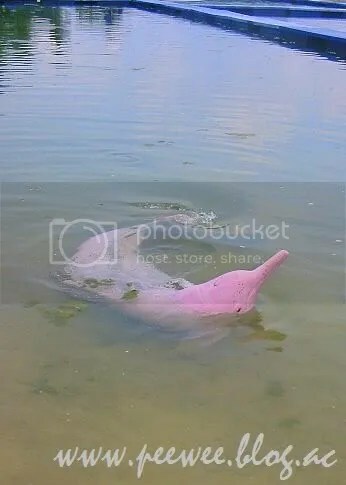 Will our future generations get to see this rare pink dolphin in years to come? 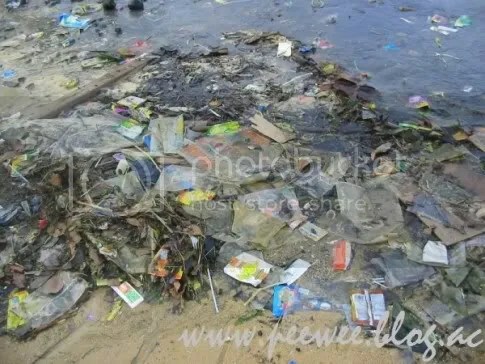 Everyone should have the social responsibility to keep our ocean (and environment) clean from rubbish and all pollutants because we all share this planet. The world would be a much better place to live in if everyone had the civic-mindedness to care for it. Due to some unfortunate change of events, the Sentosa trip was once again cancelled. Not blaming anyone in particular, but I’m just feeling a wee bit dejected. Just look at the sun! What a perfect weather for a day at the beach! What first began as an exhilarating idea has now been reduced to nothing more than an unpromising dream. There goes my beautiful Sunday. Hey, I would like to dedicate the following song to my new tenants. Yes, I have TWO new tenants… in my cupboard. 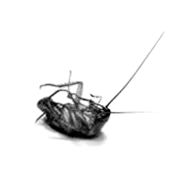 This entry was posted in Uncategorized and tagged art, cockroach, comic, cupboard, drawing, lizard. 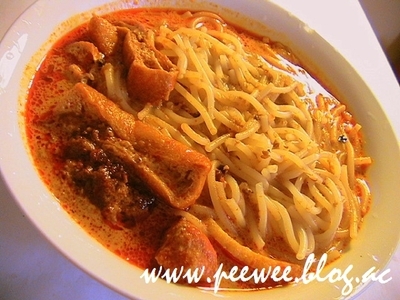 I like my Laksa extra hot and spicy… and with lots of yummilicious HUM! While I was queuing up for my Laksa this morning, the uncle asked the customer in front of me whether he wants HUMs in his Laksa or not and to my horror, he actually said NO! GOODNESS ME!! How on earth can anyone eat Laksa without the HUMs? It just doesn’t seemed right to me! Laksa wouldn’t be Laksa if it doesn’t have HUMs at all! It’s like eating fishball noodle without fishballs. Weird, right? What about you? Do you like HUMs?